St Brigids Lip Sync Battle event will take place on October 6th. There is a huge evening of entertainment in store, preparations are well underway! Watch out for a feast of music and fun. Tickets are on sale, priced at €20 each. Contact Paula 0872858574, Trish 0873473043 or Ann 0872266632 for tickets. There will be a Lip Sync preview on September 29th in the hall for all members Under 18 from 5.30pm with the Sam Maguire and Brendan Martin Cups in attendance. All younger members are welcome. There will be a raffle and some great spot prizes and a sweet shop. Sponsorship cards are due back by next Saturday 29th September to the Section Co-ordinators or any of the contacts for tickets. Great results for our Adult and Minor teams who were in action this weekend. Our Senior Ladies Footballers withstood a late comeback from Thomas Davis to reach the Championship final where they will meet Foxrock Cabinteely this Friday evening. 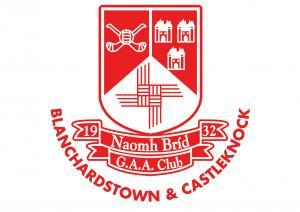 Both our Minor football teams gained Championship wins over St Catherines and Castleknock on Sunday. Our Inter Hurlers are through to their semi-final and will play Naomh Mearnog. Our Junior Hurlers had a good win over Round Towers Clondalkin also in Championship. Eoin Kennedy will be in action on September 29th, when he faces Westmeath’s Robbie McCarthy in the All-Ireland Senior Singles final. Dublin Masters and Dublin Ladies Football teams were invited by the Lord Mayor to a Civic Reception on Tuesday last, it was a lovely occasion and great to see so many St Brigid’s representatives. Nursery every Saturday from 9.30 to 11.00. All 4 to 7 year olds welcome. Just pop down and join in the fun. Thank you to Sherry Fitzgerald for their sponsorship. Thank you to everyone who supports St Brigid’s Club Lotto and to our great Lotto Committee. There was no Lotto Jackpot winner last week. Our next Lotto draw is in Myo’s on Friday 28th September when the Jackpot will be €6,800. Keep up with all our news on our website www.stbrigidsgaa.com and on our Twitter and Facebook pages.